Of The New Batman Film? The massacre at the batman movie has been explained by President Obama this week. Other sources say the trailer for another film was more like what happened. In the trailer the gunmen shoot from the back of the cinema screen. The trailer was banned but looks like a good film. Any violence in the media is not good when it affects people. This debate is as old as the Chuckey doll debate. Media audiences have been studied. For normal people do not get effected like we see with the young murderer who stormed the batman film armed with gas and a gun. Currently the suspect is being persecuted in jail by inmates. The Aurora cinema a chain of the Century 16 cinema have had to make changes. 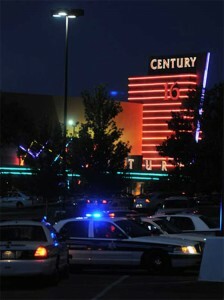 James Holmes the murderer who massacred these innocent people will and should be dealt with appropriately. Not to sure but the State that this happened will probably execute him soon since this is the law in America.